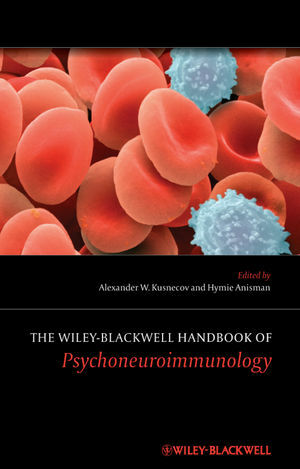 This comprehensive resource details the history, methodology and development of research into psychoneuroimmunology, balancing it with meticulous coverage of both the clinical aspects and practical applications of the subject. Alexander Kusnecov is Associate Professor of Psychology at Rutgers University, USA. As well as a number of studies on stress, his work has focused on behavioral conditioning of the immune system, as well as more recently on the neural, endocrine and behavioral consequences of immunologic challenge. Hymie Anisman is a full Professor in the department of Neuroscience, Carleton University, Canada. He holds the distinguished Canada Research Chair in Neuroscience. The principle theme of his research has been the influence of stressors on neurochemical, neuroendocrine and immune systems, and how these influence psychiatric disorders, including depression, anxiety and PTSD.